On Sunday we toured a 2005 30′ Airstream Safari Bunkhouse for sale in our city. Although we really aren’t planning to seriously buy until next summer, this particular model is rare and warranted a look-see. While in nerd research mode, I discovered that there were only around 70 of this model produced in 2005. 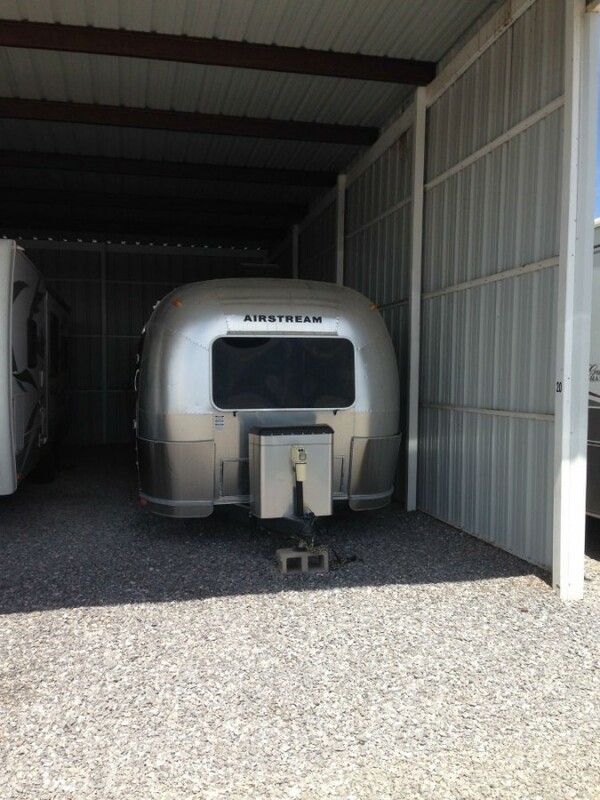 It was geared toward families as it is one of the few Airstreams to have both a front and rear bedroom. The front bedroom has a full-size bed with a twin bunk above it. Next to it was a full bathroom with a shower, toilet, and sink vanity. The middle of this hefty trailer contains a sofa bed, a dinette (that also turns into a bed), and a small kitchen. Finally at the rear was a walk-around queen sized bedroom. Loved the bunk-beds! Little V climbed in and all over them, read a book, and generally claimed them. I could definitely see the girls enjoying a bunk-bed room like that. The other bedroom was also fairly spacious with three windows and built-in wardrobes on either side of the bed. There was lots of built-in storage throughout the unit, which made it much more easy for me to visualize full-time living in it. The Safari look is very distinct. This unit had lots of light colored veneered wood: walls, cabinets, and most surfaces. It also had blue and white cabana stripes on the sofa and dinette cushions and carpet in the bedroom. In general, we really prefer the clean lines and modern aesthetic of the international line. A general lack of light throughout: there were plenty of windows, but the placement was odd, which made for limited light throughout. I think we would go crazy living in this trailer for longer than a few weeks at a time. If we’re going to live in a small space, we must feel incredibly connected to the outdoors. The outdoors=our extended living room. The gentleman selling the trailer was friendly and genuinely helpful. I have no doubt that if we had decided to buy it that he would have shown us the ropes. Looking at the Bunkhouse was exciting and a good reminder of what we’re working toward!